Its very difficult for them to make a balance tuning between family and business life. You are business owner with a family – you already know that what I am talking about! Business owners always struggle hard to find time on holidays. Holidays – some of business person finds it waste of time while other finds it a way to refresh your mind and start your business with a new enjoyment after coming back from holidays. But, if you have family – it’s a compulsion that you have take your family on holidays after time to time. Personally, I feel holidays a great way to refresh my mind from hectic office schedule and huge work load. I always find time to go on short trips with my family. There is a one major issue that always comes in mind while going on holidays are “How to keep your office running while you are on the holidays spending time with friends and family?” If you asked me this question few years back, I definitely give you one answer without putting extra effort on it, i.e., NO. But, technology has came much further than we are thinking and there are many tools that can help you to manage your business from any part of the world. In this article, I have gathered a list of 7 best web tools that manage your business during your break. I have find web-based tools so that you don’t have to find the compatible operating system to run them and you can easily manage all services from any browser. For now, have fun and enjoy your holidays! 1. Box.net : Box lets you store documents, media and all of your content online, so you can access, manage and share them from anywhere. You can integrate Box with Google Apps and Salesforce. You can also Access Box on mobile devices. 2. SocialOomph : SocialOomph.com is a service that provides free and paid productivity enhancement services for social media users. You can boost your productivity with Facebook, Twitter, blogs and many more. 3. dimdim : A great web conferencing service recently acquired by salesforce and available both in free and paid options. A basic meeting with up to 10 persons is free. It’s very easy to use, browser-based and compatible to all platforms. 4. Salesforce : Salesforce is a cloud-based customer relationshop manager service and used by some big companies. You can use this service from anywhere in the world and it offers free apps for iPhones, iPad and iPod too. Help you stay connected with anyone in the world from anywhere. 5. 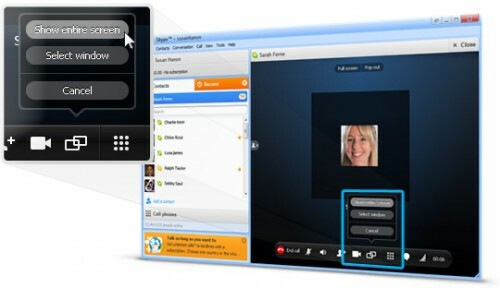 Skype : For many users, Skype is for fun by getting in touch with friends, relatives and much more. They use it free Skype user-to-user-calls. 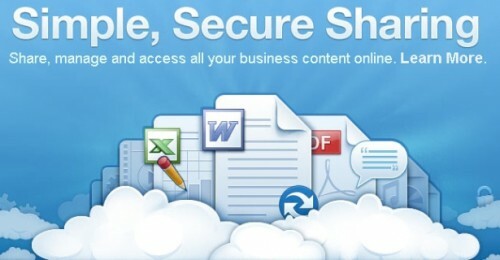 But there are immense features in Skype that can be used for business purpose such as screen-sharing capabilities in which you can show any presentation or artwork without sending any large files in the mail. 6. Flowdock : Flowdock creates a bridge between conversation and knowledge management.You don’t have to use clumsy tools like instant messaging, IRC or email for group conversation on one hand, and wikis, ticketing systems etc for knowledge management on the other. With Flowdock, you can reduce your ways to a light-weight, effortless process, where the conversation flows and the barrier of creating knowledge is diminished. 7. Pingdom : With Pingdom, any problem with your website will be discovered the minute it happens. You will be immediately alerted so you can take action before it affects your business. You will also be able to see detailed statistics of your website performance, giving you a historical record of all incidents.